Shirley MacLaine stars in this otherwise all-British comedy, written by Alec Coppel and Denis Norden and directed by Joseph McGrath. 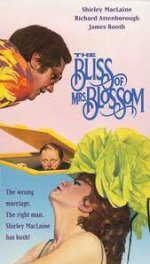 She plays the wife of a brassiere manufacturer (Richard Attenborough), who manages to conceal her lover (James Booth), one of her husband's employees, in the attic for three years before her husband tumbles to the situation. A kind of screwball farce, it is played with evident gusto by MacLaine and a cast that features Freddie Jones, Patricia Routledge, Bob Monkhouse and William Rushton, who, defying the total absurdity of the situation, manage to ellicit some laughs.